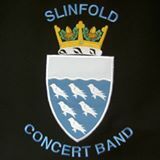 The birthplace of what is now Slinfold Concert Band was the dining room of John and Bunty Reed’s Slinfold home. In 1978 John and his two children were joined by neighbour Charles Duncan and his daughter for a musical evening. Other friends and family soon followed, along with other musicians from the village and further afield. As numbers grew the idea of turning the informal sessions into a ‘proper’ village band began to take shape, and it was also becoming obvious that a larger venue was needed. 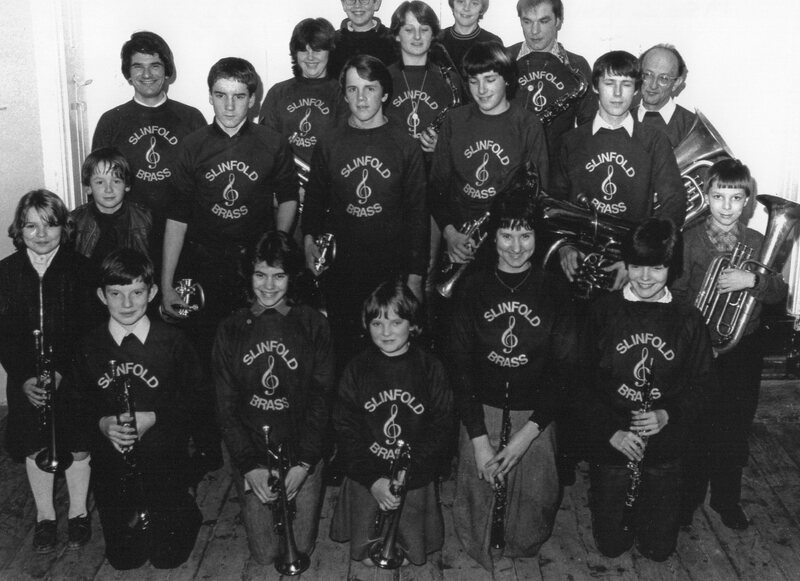 In September 1979 the musicians moved to the Village Hall, and became Slinfold Brass. A small subscription was introduced to cover costs, and the Band was also very grateful for a £10 donation from the Vicar of St. Peter’s. They were on their way! Some of the earlier players were school children who were learning brass instruments, but as John had decided to adopt an inclusive policy in respect of other instruments, woodwind players started to swell the numbers. In 1980 the Village Hall was forced to close to allow necessary building works to take place. The Band temporarily moved down the road to the village primary school, and it was in the school canteen in 1981 that the Band made its first public concert appearance, the players wearing their recently acquired ‘Slinfold Brass’ jumpers.